This one was a hit — I’m talkin’ capital H-I-T — with the kiddos. They liked it as much as the Honey Sesame Chicken from last year. 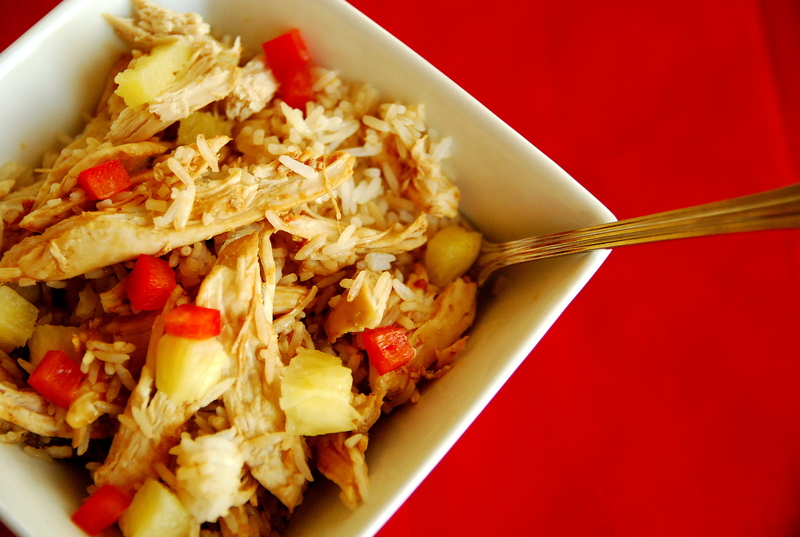 Tender chicken coated in honey, garlic, soy sauce and maple syrup and tossed with pineapple, peppers and green onions? Now that’s a lot of flavor for one crock pot dish! Combine honey, garlic, ginger, soy sauce, maple syrup, ketchup and Sriracha in a small bowl and whisk together. 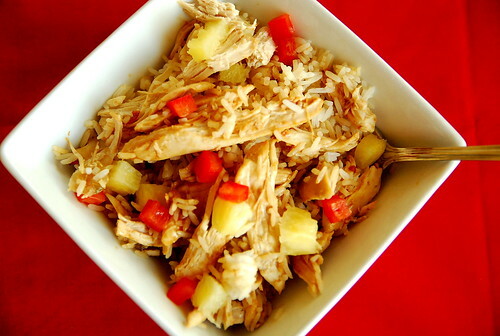 Place chicken in the slow cooker and pour sauce over top. Cook on high for 2 hours. Remove chicken and place in a side dish. Pour sauce from slow cooker into a small sauce pan and reduce over medium-low heat until thick and syrupy. Pour sauce over chicken. Add pineapple, red pepper and green onion for garnish. Serve over rice. Thank you for sharing. This does sound delish. My girls love Chinese food so I will add this to our menu selection! My Kitchen Looks Like A Food Network Set!